information by typing or speaking to it. It can give you information such as weather information, help you plan a trip, translate text for you and even give you some fun things like puzzles to do. With your Assistant in Allo, you can have a conversation with Google — ask it questions and let it help you get things done directly in your chats. You no longer need to leave a conversation with friends just to grab an address, share your favorite YouTube video, or pick a dinner spot. Just type @google to bring your Assistant into any group chat. And of course, you can also chat one-one-one with your Assistant in Allo. 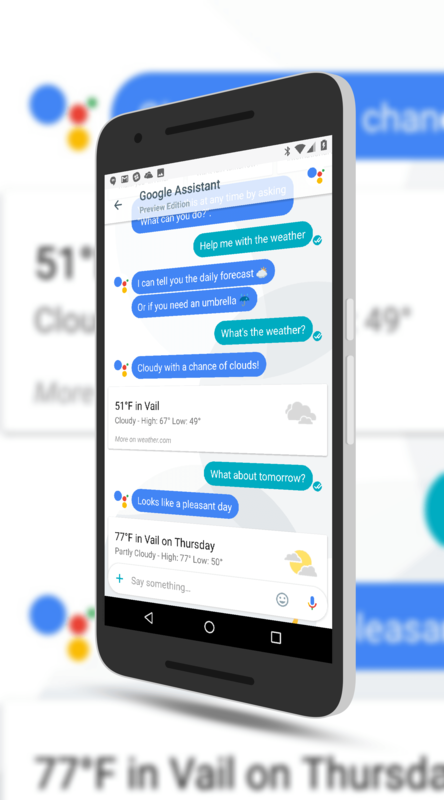 The assistant is impressive and if for no other reason, you should download Google Allo to try it out. It is a great glimpse to what Google has in store around these types of apps and the power of their AI platform. Other features include the ability to do group chats, ink up photos and send stickers (which you can download free into the app). It is truly designed to be a messaging app for the masses with all the features (functional or frivolous) that you would see in competing apps. Keep in mind that, at least for now, you have to have your contacts phone number to use Allo. This could change in the future but for now, you have to have it. You can download Google Allo for free in the Play Store.